The best way to get to know a community is by scheduling a tour. 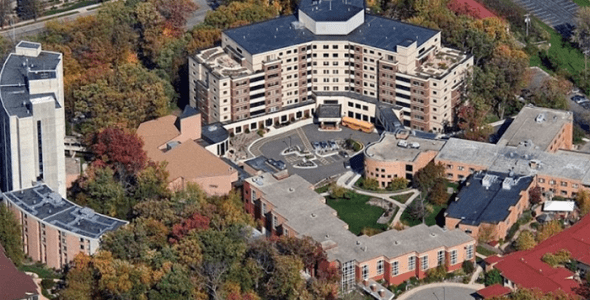 See the facilities, meet the staff and residents, and get a feel first hand what it's like to live at Oakwood Village University Woods Assisted Living. Oakwood Village University Woods off Mineral Point Road sits amid nearly 30 acres of wooded grounds that include sidewalks and a nine-acre nature preserve. Assisted Living in the Tabor Oaks building fosters a community where residents receive tailored care when they need it. It offers a blend of personal care, privacy and an opportunity to stay active. A high staff-to-resident ratio with call buttons in each room encourage residents to retain their independence while receiving support from compassionate, understanding staff who can step in at a moment’s notice.